Posted by Sara Powers on June 8, 2018 at 10:00 AM. Filed under How To, Mobility, Q&A . Charging your phone is something we do every single day, sometimes several times a day, but how much do we really know about it? What all goes into phone charging? How do I know what charging cable is right for me? What makes a cable durable, where can I find one that won’t easily break?? We went and talked with our phone charging experts here at Jasco and asked them all the questions we know you've been curious about in "Ask the Experts" - Phone Charging edition. Can you "overcharge" your phone? A: No, you cannot overcharge your phone. Your phone is designed to know how much power it needs and will pull that amount from the charger and cable. Standardization amongst USB cables assures that your phone (or other device) won't be damaged by a higher charging rate, and your phone’s battery life won’t be impacted. However, it's still a good best practice to match your charger to your phone's recommended charging specifications that are in the user manuals. How do I keep my phone charging cables from breaking? A: Be gentle with your cables! Simply bending your charging cable & wrapping it up will cause the inside wires to strain, break or fray. 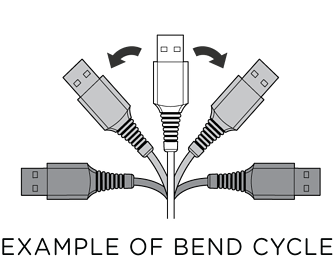 Also - look for the cables “bend cycles”, this indicates how many times the cable can be bent before noticing any damage. There are durable cables out there (like our EcoSurvivor lightning cable) that have a bend cycle of over 50,000! Does charging your phone overnight damage the battery? A: No. Your phone is designed to know when to stop receiving power from the charging cable. Once your phone hits a certain threshold (around 96-97% charged) it will only trickle in the remaining charge to the phone. What is an easy way to save my phone's battery life? A: The easiest way to save your phone's battery life is to turn down the brightness! Brightness on your main screen display can be the #1 killer of your phones battery. If you can't turn down the brightness try to turn off your wi-fi, the radio is always searching for signal no matter where you are. Disabling wi-fi helps your phone stop searching for signal. 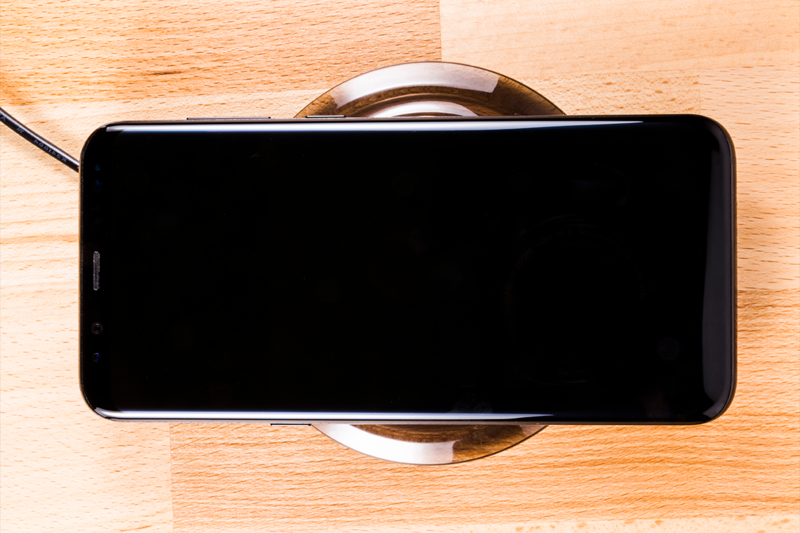 Is wireless charging faster or slower than cabled charging? A: Wireless charging (or Qi charging) will charge your phone slower than traditional charging cables. However, wireless charging completely eliminates the need for cables. Can I charge multiple devices at the same time on one Qi charging pad? A: Yes. You can charge multiple devices on a Qi charging pad, depending on the size of the pad and number of charging coils. Does the length of the charging cable have anything to do with how fast or slow the phone charges? If you need a longer charging cable though, don't fear, you can still get a good quality and fast charge with a long cable! Look for trusted brands who have a good perception of quality. These branded cables will typically be thicker due to the amount (gauge) of copper wiring inside the cable. If your cable has a large gauge, you’ll receive similar charging speeds when compared to shorter cables. The thicker gauge of these longer cables allows the power (voltage) to travel from the wall charger through the charging cable to the phone without dropping the necessary voltage needed to charge the phone. Does your phones battery life get worse over time? A: Yes, your phones battery life gets worse over time. Like anything with time, things wear out and aren’t as good as the day you purchased it. Can you charge your phone and the battery pack at the same time? A: On certain battery packs – yes, and on others no. Make sure to check the packaging on the device to see if it offers "pass through charging". Pass through charging allows the charge to pass through to both the battery pack and the phone. Note it is important when trying to use this feature that you use a charger with enough juice to support both devices. If not, charging times will be longer since you are now providing power for two devices. Does your phone charge slower if it's charging in your car? A: No. As long as you have a high-quality charger with a good quality connection and a good cable, your phone should charge at its normal rate no matter where it is. Are all charging cables created equal? A: No. You should always pick your phone charging cables based on their quality and how they meet the specific needs of your phone. While it may be tempting to buy the $4.99 charging cable online, sticking with a brand you trust that produces good quality cables will pay for themselves in both better charging and durability! Does being on your phone affect battery life while charging? A: Yes, being on your phone while it's charging will slow down the charging process. This happens because the screen is being used, thus draining the battery while you're attempting to charge it. What determines the charge your phone gets? A: Your device dictates the charge. So, make sure you know your device and your phones charging specs. Can charging your phone in the car affect the cars battery? A: No. You’re not pulling enough voltage from the cars battery to do any damage to it. With all of this information, now you can be the go-to expert on all things phone charging.